Young and old will join together this week to watch the game's greats compete at The Masters, and for many prospective junior golfers, the action at Augusta might serve as inspiration to pick up a golf club for the first time. For those youngsters already with a few rounds under their belts, it might serve as a boost to work on improving their game and taking it to new heights. The best way to do that, of course, is with some professional guidance, and having a qualified teaching pro help put the building blocks in place, especially at an early age, is vital to a lifetime of memorable on-course experiences. 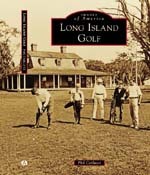 On Long Island, in addition to the many outlets the casual or advanced golfer can turn to for instruction, summer golf programs for junior players -- some open to kids as young as 5 -- are designed to transform the youngster, whether new to the sport or experienced, into a skilled golfer for life. Many public courses in Nassau and Suffolk feature summer camp programs that school young players in golf's key fundamentals, the various types of swings and strokes, as well as rules, etiquette and course safety. Kids work closely with teaching pros on the course, in the range and around practice greens and bunkers; in some cases, the pros working with your young golfer have been recognized nationally for their work as junior instructors. Campers leave each session with skills and knowledge in place for years of enjoyment on the course. The following is a general overview of 2019 summer golf camps available and open for registration at various public courses around Long Island. For more information, follow the links below to the course websites and junior camp pages. Bethpage State Park (Farmingdale): Bethpage's Junior Golf Development Program is open to players of all skill levels. Juniors are split into five teams based on age, ability and experience, and participate in a combination of practice, fitness training and on-course play, including tournaments. Amount of practice and live play varies by team. Full-day and half-day programs meet five days a week for an entire month. Weekly sessions are also available. Register for full day/monthly ($750), half day/monthly ($500) and weekly sessions ($400) at the Bethpage website or call (516) 249-4040 for more details. Cedars Golf Club (Cutchogue): The Cutchogue course offers two separate four-week sessions with start dates of July 8 and August 5. Campers meet Mondays, Wednesdays and Thursdays, with times varied by age group. Juniors age 10 and under benefit from group instruction and on-course play, and also receive prizes, pizza lunches and a ten-round Cedars Junior Pass. Those in the 11-to-15 group receive 30 minutes of private instruction each week in addition to on-course play, group work and a full-season Junior Pass. Cost is $570 per four-week session (10 and under); $600 per four-week session (11 and over). Extended instruction is available for additional cost. Call (631) 734-6363 or e-mail ken@cedarsgolfclub.com to register or for full details. Cherry Creek (Riverhead): Cherry Creek typically offers several camp sessions in July and August. Each session covers swing basics, course etiquette and more. Instruction takes place at both the Links and Woods courses. Dates, cost and additional details will be announced later this spring. Contact the Woods pro shop at (631) 506-0777 or e-mail head pro Michael Springer at mikespringer1@yahoo.com for info. Eisenhower Park (East Meadow): PGA Junior Golf operates a series of camps for all ability levels, including advanced camps for competitive juniors. The program includes full-day camps for players age 11 to 17, modified full-day camps for experienced players age 8 to 12, and half-day camps for beginners and intermediates age 7 to 11. There is also a special 90-minute session for "Wee Ones" age 5 to 8. All regular camps include hours of hands-on instruction led by certified PGA professionals. Full-day camps include on-course play and teaching. Weekly sessions for all programs begin July 8. Visit the PGA Junior Golf Camp site for full information on pricing, session dates and available discounts. Glen Cove Golf Club: Weekly sessions for kids age 6 to 16 begin on June 17 and are offered through the end of August. Camps meet Monday to Friday from 9:00 a.m. to 1:00 p.m. and cover the full swing, pitching, chipping, putting, rules and etiquette. Cost is $400 per weekly session. Call (516) 671-0033 or visit the Glen Cove camp site for additional details. Harbor Links Golf Course (Port Washington): Harbor Links offers a wide variety of programs led by teachers all named U.S. Kids Golf Certified Instructors. Camps begin the week of June 24, with sessions available through August. Weekly programs for kids age 6 to 9 run Tuesday to Friday from 9:00 a.m. to 12:30 p.m. and include games and drills that help develop important skills and fundamentals, in addition to a skills competition and gift packet. Separate programs for teens age 10 to 16 are split into four-hour AM and PM sessions and run Monday to Friday. These cover the full swing, short game, course management, rules and etiquette, and conclude with a two-day "Junior Scramble" team tournament. Rates vary based on age group and time of sign-up. For all program information, schedules and registration forms, visit the Harbor Links website. Indian Island Country Club (Riverhead): Indian Island's 18th annual golf camp consists of week-long sessions that include lessons, lunch, prizes, golf gear, skills contests and on-course competition. Camps are open to boys and girls of all skill levels between the ages of 7 and 16. Fees are $525 per week, per camper, with family, returnee and multi-week discounts available. Week-long sessions begin June 24 and continue through the end of August. See the Indian Island camp brochure for all details. Island's End Golf & Country Club (Greenport): Junior clinics are offered on select days in the summer, open to boys and girls age 5 and up. Camp info will be available later in the spring. Visit the Island's End website for more information. Long Island Golf Camps / Mike Reilly Golf Academy (Massapequa, Babylon, Hauppauge): Long Island Golf Camps runs programs at three public courses -- Peninsula Golf Club (Massapequa), Sumpwams Creek/E. 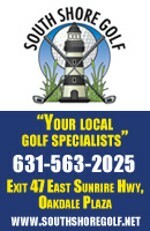 Donald Conroy Golf Course (Babylon) and Wind Watch Golf & Country Club (Hauppauge). The Peninsula and Wind Watch camps are week-long, full-day programs (9:00/9:30 a.m. to 4 p.m.) with sessions beginning in late June. They include instruction on different aspects of the swing, on-course play and daily lunch. Babylon camps run Monday to Friday from 9:30 a.m. to 12:30 p.m.; afternoon sessions might be available based on demand. Instruction takes place on the course and in the short-game area. Enrollment is $595 for Peninsula, $625 for Wind Watch and $269 for Babylon. For schedules and registration, and for information on a fourth camp program held at the private Colonial Springs Golf Club in East Farmingdale, visit the Long Island Golf Camps website. Middle Bay (Oceanside): Six full-week sessions begin on July 8. Camps meet from 9 a.m. to 1 p.m. Monday to Friday and include instruction on the course, practice green, in the driving range and the short-game area. Snack, beverages and lunch are also included. Family and multiple-week discounts are available. Call (516) 766-1880 for pricing and additional details. Mill Pond (Medford): Camps are available in 3-day and 5-day sessions. Shorter programs are geared more toward beginners with a focus on swing fundamentals, rules and etiquette. Juniors with some playing experience will also receive instruction on course management. Week-long programs are designed for experienced juniors, with on-course instruction and play held at Rolling Oaks Golf Course in Miller Place. High school development camps are also available for experienced golfers age 12 to 17 looking to advance their game on a competitive level. Discounts for Town of Brookhaven residents are offered. Visit the Mill Pond website or call (631) 732-8249 for info on registration, pricing, schedules and program format. Pine Ridge Golf Club (Coram): Full-week sessions are available for beginners and intermediate players. Camps are full-day and focus on fundamentals to build the foundation of a proper swing, with on-course play included. The $299 camp fee covers daily lunch and a goodie bag. Visit the Pine Ridge website for session dates and online registration. Poxabogue Golf Center (Sagaponack): A total of ten sessions run from the week of June 24 to the week of August 26. Sessions are Monday through Friday, 9 a.m. to 12 noon, and are open to boys and girls from age 7 to 16. Campers will learn basics of the full swing, short game, course management, rules and etiquette, and will receive golf gear, snacks and giveaways. Cost is $529 per session, with family and multi-week discounts available. Visit the Poxabogue website for info and registration. Smithtown Landing Country Club (Smithtown): Smithtown Landing hosts camp programs led by PGA professional and Hall of Famer Michael Hebron. Instruction covers grip, swing, putting, chipping, pitching, rules and etiquette. Beginning July 1, separate programs meet once a week on Mondays, Tuesdays and Wednesdays. A three-day camp (June 26-28) and four-day camp (August 6-9) are also available. Call (631) 979-6534 or visit the Smithtown Landing site for 2019 pricing, schedules and registration forms. Spring Lake Golf Club (Middle Island): Spring Lake is running weekly junior clinics in lieu of formal camp programs in 2019. Juniors will meet each Saturday from 10:30 to 11:30 a.m. for group instruction. Contact Spring Lake pro Cristy Jurgens at (631) 924-5115 for info. Stonebridge Golf Links (Hauppauge): Starting July 15, full- and half-day programs are available for beginners through intermediate players. Half-day sessions (9 a.m. to 12:15 p.m.) are geared to beginners age 6 to 10 and focus on fundamentals, rules, etiquette and course/club basics. Full-day camps (9 a.m. to 3 p.m.) help experienced players age 10 and up improve on skills and knowledge through on-course play and instruction. Cost is $215 for half day and $379 for full day. All campers receive a Nike backpack and glove. Discounts available for siblings and multiple sessions. Call (631) 724-7500 or visit the Stonebridge website for session schedules and registration info. Sunken Meadow (Kings Park): PGA Junior Golf operates half-day camps for players of all skill levels from age 7 to 16. Beginners and intermediate players are split into groups and receive hands-on instruction led by certified PGA professionals. Weekly sessions meet Tuesday through Friday, from 9 a.m. to 12 noon, beginning July 9. Cost is $299 per session. Visit the PGA Junior Golf Camp site for full information. Town of Oyster Bay Golf Course (Woodbury): Full-day camps for boys and girls age 10 to 16, and half-day camps for boys and girls age 6 to 10, are available starting the week of June 25. Camps meet Tuesday through Friday. Teaching pros cover chipping, putting, rules and etiquette, and instruction takes place on and off the course. Full-day camp is $600; half-day camp is $425. Referral discounts are available. Call (516) 364-3600 or visit TOB's Lucas Golf Center website for information and registration. West Sayville Golf Course (West Sayville): West Sayville is offering seven week-long programs (Tuesday to Saturday, four hours per day) beginning the week of July 9. Campers receive instruction on and off the course, with lessons concentrating on all aspects of the swing, including grip, stance and alignment. Cost is $425 per session, with multi-week discounts available. Visit the West Sayville website for a registration form and schedule information.